Eddie appeared on Show 304, recorded in Wellesley, MA, on March 26, 2015. 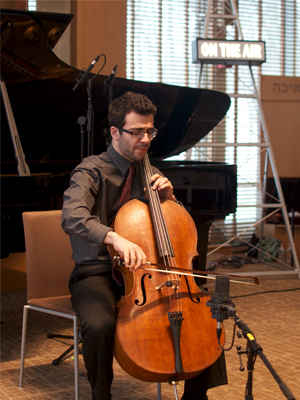 Eddie Pogossian (cello), 18, is from Glendale, California, where he attended Crescenta Valley High School. He is currently a freshman at the Juilliard School in New York City. In high school he studied with Ronald Leonard at the Colburn School. He was also a member of the Crescenta Valley High School Orchestra and the Virtuosi Chamber Orchestra. Outside of music, Eddie enjoys playing soccer.